An essential reference for assessing and treating people with schizophrenia spectrum disorders – now updated and even more comprehensive. The new edition of this highly acclaimed volume provides a fully updated and comprehensive account of the psychopathology, clinical assessment, and treatment of schizophrenia spectrum disorders. It emphasizes functional assessment and modern psychological treatment and rehabilitation methods, which continue to be under-used despite overwhelming evidence that they improve outcomes. The compact and easy-to-read text provides both experienced practitioners and students with an evidence-based guide incorporating the major developments of the last decade: the new diagnostic criteria of the DSM-5, introducing the schizophrenia spectrum and neurodevelopmental disorders, the further evolution of recovery as central to treatment and rehabilitation, advances in understanding the psychopathology of schizophrenia, and the proliferation of psychological and psychosocial modalities for treatment and rehabilitation. "[A] book intent on providing a broad overview of the topic in a very concise format (94 pages) [and on capturing] current thinking that spans conceptualization, diagnosis, etiology, and treatment. That it succeeds is reflected in topics that have been highlighted, an example being the discussion of the field’s shift from a neuroprogressive model to one that underscores neurodevelopmental issues. Because so much material has to be covered in such a limited space, there is a compelling need for the writing to be organized, clear, and succinct. The authors are very successful in this regard, assisted by the use of multiple headings, subheadings, and highlighted points in the margins. This text, nicely laid out and reasonably priced, succinctly but effectively keeps us abreast of this topic and more recent advances." "An excellent primer and a go-to reference that will be valued by both practicing clinicians and clinical researchers.The book’s four chapters — covering description, theory, diagnosis, and treatment — are compact and fast moving. In them, readers will discover well written coverage of contemporary ideas percolating throughout clinical and research worlds of schizophrenia. "This is a useful book on schizophrenia spectrum disorders and important treatment modalities. Anyone who is involved in the care of patients with chronic psychosis would benefit from this excellent book. I highly recommend it. This edition written and edited by internationally recognized clinician-researchers in the field, remains a valuable contribution to the psychiatric literature." "Without question, the clearest explanation of the nature of the schizophrenia spectrum and, more importantly, what to do about it. This book should be read by anyone who treats or cares for people with schizophrenia spectrum disorders." "There is really no book that provides such a concise, yet comprehensive review of schizophrenia as this one. I recommend it as core reading in a graduate level psychopathology course or as an introductory resource for new mental health staff working with individuals with schizophrenia spectrum disorders. In essence, it is a “one stop shop” for all one needs to know about all that’s schizophrenia. Every mental health professional should have this on their bookshelf." "The extensively updated second edition of this concise, authoritative book is a gem. In approximately 100 pages, the authors provide a highly readable, valuable resource for anyone who wants a better understanding of the nature and treatment of schizophrenia spectrum disorders, including the latest scientific advances. I strongly recommend this book to professionals and non-professionals alike." 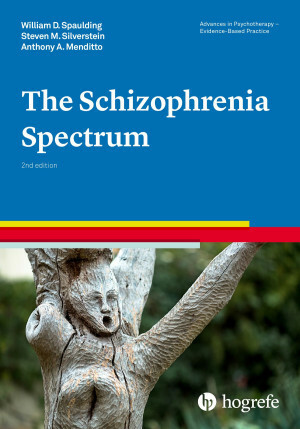 "This compact volume efficiently summarizes the complexities of assessment and treatment for the schizophrenia spectrum. It provides a thorough update of current psychopathology and the rapidly evolving treatment options in psychiatric rehabilitation with the added advantage of new insights into mental health policy and politics. It will be a valuable resource for those students and practitioners who are new to the area. But it also offers us old hands a timely update as a new era of research and clinical practice unfolds."